The Ramula Sub-location is one of the poorest regions in Kenya and, as such, was considered and included as part of the millennium villages in 2006. This led to some improvements like making bad roads accessible and educating people on modern ways of farming. But the area has no major economic activity to give employment to the community.Few schools are accessible to younger children who are not strong enough to make long walks over hills and streams. The St Catherine E.C.D.E. also came into existence due to Mzee Patrick Adele’s interest in education having being a teacher for most part of his life. In fact, the whole location people refer to him as a teacher by name. Mr Adele is also the grandfather of CanAssist's Field Representative in East Africa, Daniel Otieno. 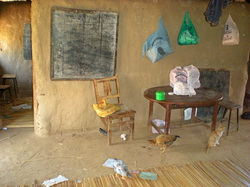 Dan is particularly keen on seeing this classroom project be a success in his home rural community. 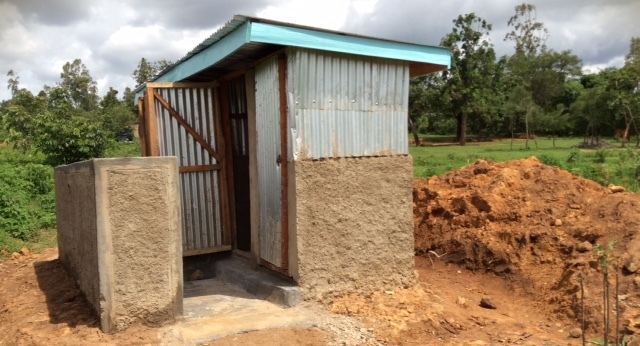 In early 2015 CanAssist started construction of three classrooms and an improved latrine at this small rural community where previously learning was under a mango tree. In September, CanAssist is funding furnishings for the classrooms and a rainwater catchment tank. These improvements will all benefit the students from this community who will now be able to acquire early education. 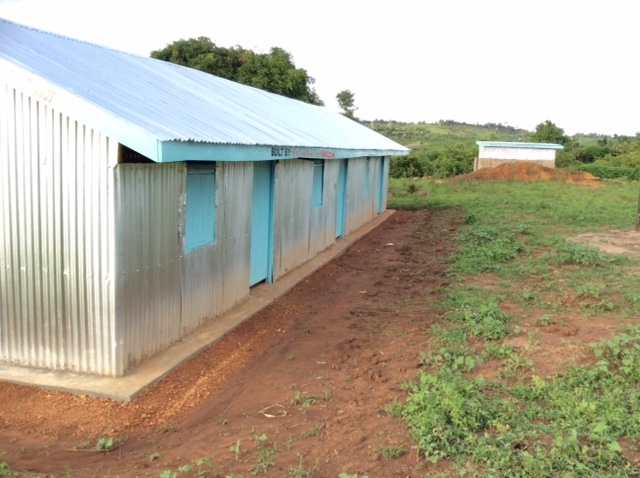 Classrooms and latrine at the St Catherine School in Siaya District, Kenya. If you would like to support improvements at St Catherine E.C.D.E. please indicate that with your tax-deductible donation to CanAssist which can either be made by mail to CanAssist Africa, P.O. BOX 1385, Kingston, Ontario, Canada. K7L 5C6 or by credit card using the secure Canada Helps link below.